Molly comes to St John’s with 29 years of experience as an educator in teaching and administration, locally and internationally. She holds a B.A. in English and Education from The Catholic University of America and a M.A. in Early Childhood Education from the Institute of Education at University College London. Molly is a member of the North American Reggio Emilia Alliance and the National Association of the Education of Young Children. Jessica graduated from the University of South Carolina with a bachelor of arts degree in public relations, and a master’s degree in elementary education. Jessica has 13 years of combined experience as a teacher and administrator in various educational settings. Jessica will begin her 4th year at St. John’s. 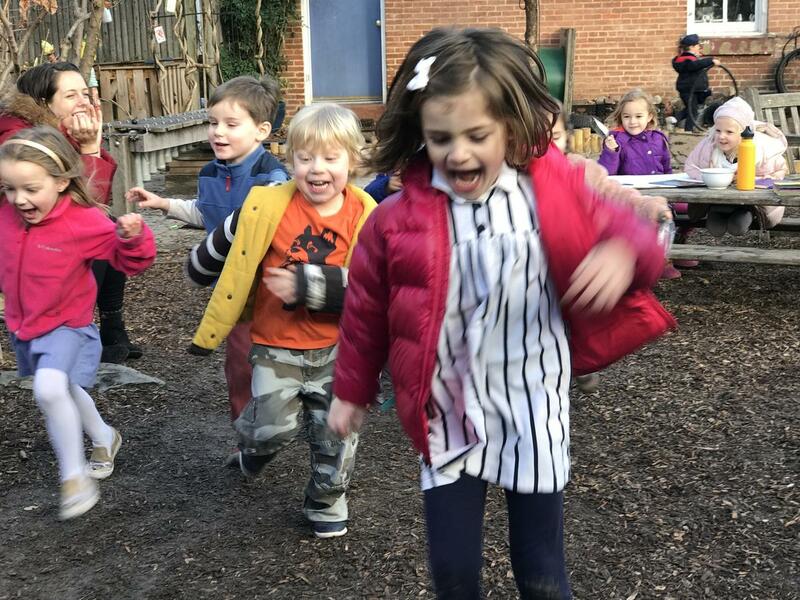 For the past 27 years Jennifer has worked both locally and nationally with schools inspired by the Reggio Emilia philosophy, focusing particularly on the culture of the atelier. She has been with St. John’s for 18 years as a studio and pedagogical consultant and has two proud St. John’s alumni. Jennifer is a board member of the North American Reggio Emilia Alliance, and Founding Chair of the DC Reggio Emilia Alliance. Theresa is a Certified Public Accountant with over 16 years of experience with international non-profit and community management organizations. She received a bachelor’s degree in business administration with a concentration in finance from the George Washington University. She was honored as a National Scholar of the Horatio Alger Association for Distinguished Americans. She has worked part-time at St. John’s for the past 14 years. Aletha is the part-time business administrator at St. John’s Preschool. She has a bachelor’s of art degree in business administration with a concentration in business management and a master’s of science in fashion design. She has over 10 years of professional experience in various areas of business operations. Before joining St. John’s, Lisa was a pre-kindergarten partner teacher and special education student teacher at Van Ness Elementary School. Prior to that, she spent a decade working in criminal and juvenile justice system reform as a researcher, policy analyst, and consultant. She holds a master’s degree in early childhood special education from the George Washington University, a master’s degree in public policy from the Harvard Kennedy School, and a bachelor’s degree in religious studies from the University of Virginia. Jill has a degree in child psychology from the University of Minnesota and a master’s degree in early childhood education from the University of Maryland. Before joining St John’s in 2001, Jill taught in full-time programs, worked as a center director, presented at conferences, and volunteered as a NAEYC accreditation specialist. Prior to joining St. John’s, Allison taught at early childhood centers in Maryland, Colorado, and New Jersey. She holds a dual baccalaureate degree in Art History and Visual Art as well as a master’s degree in education and human development with a focus on early childhood and the Reggio Emilia Approach. This past summer, Allison was the Director of the St. John’s Summer Program, and she is looking forward to her second year teaching at the school. 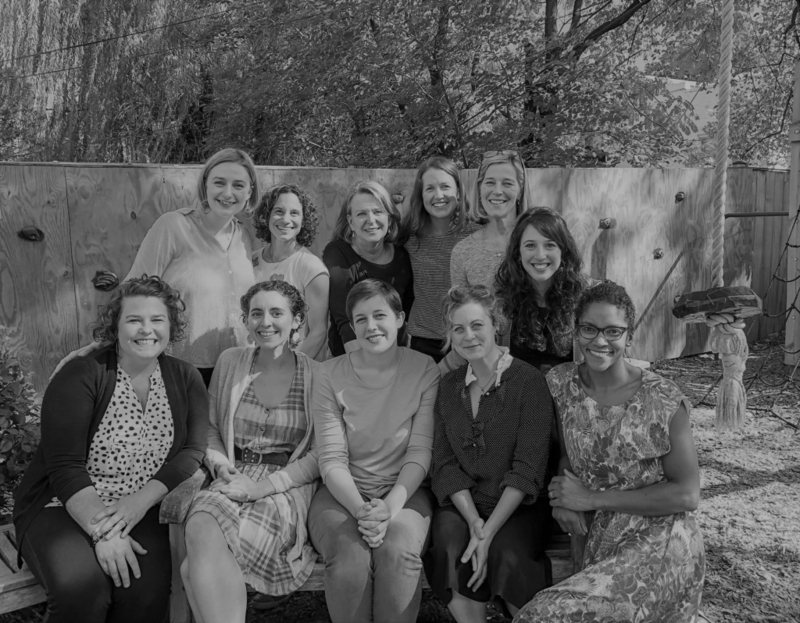 For the past 5 years, Rachael has taught in Reggio inspired preschools in New Orleans, LA. She earned a master’s degree in early childhood education from Northwestern State University of Louisiana and a bachelor’s of fine arts degree in Toy Design from the Fashion Institute of Technology. She was a toy and textile designer in New York and Atlanta prior to becoming an educator. Jessica has an associate of science in early childhood education from New Hampshire Technical Institute, bachelor of arts in educational studies with a concentration in Early Childhood from SUNY Empire State College, and a Master of Science in Educational Leadership from the University of Vermont. She has worked as an early educator in a variety of settings since 1999. Melanie has her masters of arts in education with an emphasis on early childhood from Trinity Washington University. She holds a dual baccalaureate degree from Bucknell University in the fields of environmental studies and comparative humanities. Prior to her coming to St. John’s, she taught at three public charter schools in Washington, D.C.
Melanie graduated from the Maryland Institute College of Art with a Bachelor of Fine Arts, followed by a master of arts in teaching. Her previous teaching experiences have been with children of all ages at the Walters Art Museum, and teaching art to K-5 in Baltimore County Public Schools. Brooke has been working at the Boulder Journey School while earning a master of arts in Education and Human Development from the University of Colorado Denver. Before transitioning into early childhood education, she taught elementary school for 15 years. She spent 11 of those 15 years living and working overseas in Colombia, Indonesia and Austria. She holds a master of arts in Curriculum and Instruction from the University of Colorado Denver and a bachelor of arts in Spanish Literature from the University of Colorado. Brooke is also fluent in Spanish.